Family law encompasses a wide array of issues that require their own unique solutions. Legal family matters can pertain to many things, but three issues are typically consistent through all family law issues such as divorce, and those are legal, financial and emotional issues. The matters can get complex and that is when you need the expertise and experience of the Peskind Law Firm and their family law attorney Naperville services. The Peskind Law Firm has reinvented the way we approach family laws. Today’s lawyers are trained as courtroom advocates and negotiators. However, they are not always experts in the field of financial planning or emotional issues.  The family law attorneys at Peskind Law are effective in dealing with other matters that may fall just outside the realm of legal counsel in the courtroom. If you have any questions or are in need of a family law attorney in Naperville, call us today at 630-444-0701 or fill out the contact form to the right and one of our associates will get back to you shortly. Divorce and family laws are continually changing and our experienced staff and attorneys are dedicated to staying up to date on the laws to provide you with the most comprehensive family law services in Naperville. At the Peskind Law Firm, we know that family is the most important part of your life and with our experience and expertise we will work tirelessly to get all parties involved the most desirable outcome possible. For more information on our family law attorneys or if you have any questions, call us today at 630-444-0701 or fill out the form on the right and a representative will respond shortly.